Home / 50 Years with ROUNDO! 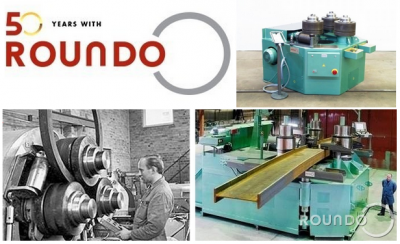 Did you know this year we are celebrating 50 years with ROUNDO! The company was founded in February 1964 and already in Autumn 1964/Spring 1965 we started delivering our first Section bending machines! One of the best selling section bending machines was the by then so called “R.b 3 Vertical”, which today corresponds to our R-5. This shows that we already at start were betting big!